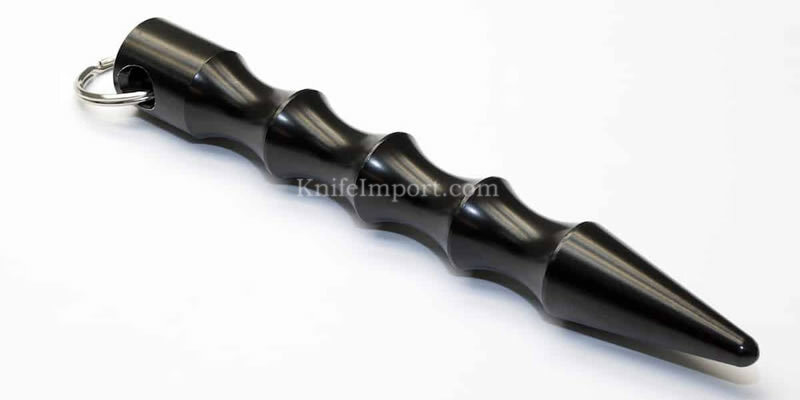 Knife Import has been in the business of providing weapons of self defense for almost ten years now, and we have seen a trend developing where people have preferred much harmful options like pistols and pocket knives. Even when there are effective and less harmful choices available from which they can choose. Today, we will be talking about some self defense weapons that have been neglected by most even though they can prove to be very helpful in saving your life and protect your loved ones. So, let’s take a look shall we? A not so old invention that helps you in the time of need. The kubaton, which is also spelled kubotan, is a rather small but highly effective self defense keychain weapon that can be used to directly attack sensitive parts of the body. If warranted, it can be made into a makeshift flail after attaching a string to the keychain. One of the various weapons that people have neglected just because its origins are from a martial arts form, and to know how useful it can be, people must be involved in a similar learning situation. 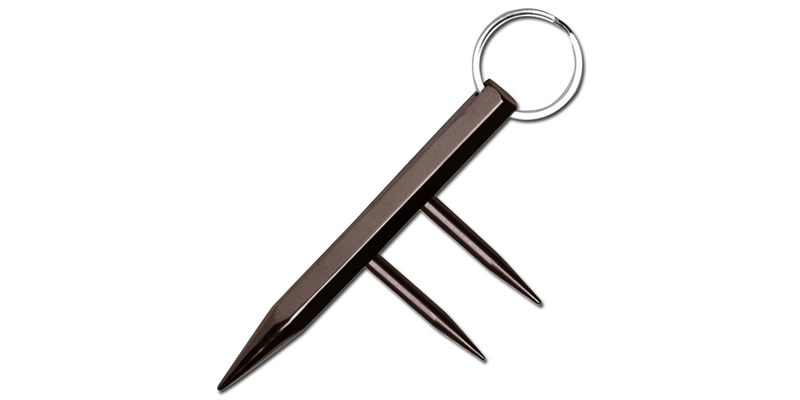 But we have made it sure that you become aware of the kubaton keychain even if you do not practice a specific martial art. Because knowing about it will only increase your chances of survival, which is great! Don’t you think? In most US states, there are only a small number of legal restrictions on the kubotan, but they are prohibited as carry-on items for people travelling through airplanes. In general, you don’t have much to fear if you make this your choice of weapon for your personal defense. Best known police weapon from the 19th century, the billy club was referred to many names such as the nightstick, police’s club, truncheon and baton etc. It was a symbol of authority for police on a world scale. These wooden sticks were designed with varying lengths, so the officers had different options while selecting their preferred billy club, which sometimes had their intials engraved on them. Now however, this billy club or police baton can be used as a great self defense weapon with least amount of risk of injuring your attacker gravely. An advanced for of this stick can be found in stores nowadays, popularly known as the retractable baton, which is also a fine option to think about while considering a weapon for self-defense. The legal authorities have deemed possession of this weapon a criminal offense as it is a heavy wooden stick with a grip specifically made for hitting a person and no other reasons. But if that’s true then you can always live in fear of getting prosecuted for carrying any stick or baton for that matter. Another weapon, left hanging for some while now, is the Slapjack (or Slapper). People must have forgotten the effectiveness of the slapjack, which can be a great piece of personal defense against most assailants for a law abiding citizen. 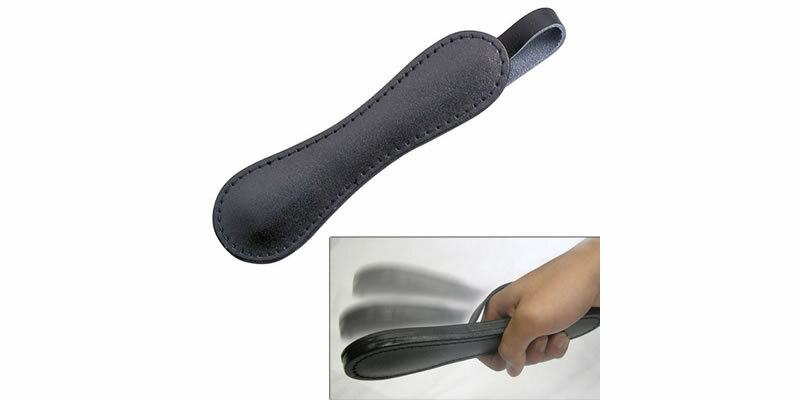 The slapper, also known as slap, is at most a flat pouch that contains a hard weight inside and can be swung to hit an attacker to inflict injury. These days, you will find slapjacks made out of high quality leather that have a pouch for an inner club and a handle extension for greater control. The inner club often consists of lead due to its high density but various other materials can and are also used. Most of its weight is concentrated on its head, so other parts don’t do much good for you. Similar to a baton, the slappers are illegal in various states for civilians to carry around because their main purpose is to hit or harm another person. So, criminals can get their hands on them and use them as easily as you can. Some other normal day items, like the flashlight and whistle, which were also used for personal defense have seen a decline of usage over the years. As they are bulky and less effective when it comes to modern day self defense weapons that are specifically designed for everyday carry, easy concealment and storing a powerful punch for crucial moments. As of now, we think we have informed you about most of the self defense weapons that have been neglected for some time. But, you should know they exist and whether or not you can use them for your personal safety, at home or outside. We wish you the very best and hope that you can stay safe no matter where you find yourself within the states or any foreign country!